Paragraph I. To avoid the delay, uncertainty, inconvenience, and expense of protracted litigation of the above claims, and in consideration of the mutual promises and obligations of this Agreement, the Parties reach a full and final settlement pursuant to the terms and conditions below. This settlement agreement is neither an admission of any facts or liability or wrongdoing by Wells Fargo nor a concession by the United States that it claims are not well-founded. Wells Fargo disputes the contentions of the United States set forth in Paragraph H.
12. The Parties acknowledge that this agreement is made without any trial or adjudication or judicial finding of any issue of fact or law, and is not a final order of any court or governmental authority. You wouldn’t know it from the Los Angeles Times article below or from the other press accounts I have read, but this is a complete and total victory for Wells Fargo. Wells Fargo was coerced by the government to pay a $2.09 billion civil monetary penalty. That’s a small amount for them and they already had more than reserved for it. They got disparaged by an acting United States Attorney and had a bad press day, so what. Mr. Tse is a liberal Northern California Democrat and unlikely permanent US Attorney to the Trump Administration. And the bad press was really fake news. How so? It can’t get any better than that in a settlement agreement with the government. As further evidence, Wells Fargo’s publicly-traded stock is up some since the settlement was announced. So why did the press accounts get this wrong? Because In Paragraph H. of the settlement, the DOJ listed a bunch of negative, unverified allegations-hearsay regarding Wells Fargo’s mortgage lending and securitization practices. Yet one paragraph later, in Paragraph I. (above) Wells Fargo disputes everything in Paragraph H.! That’s the big stuff, but here’s some more. This agreement involves Alt-A and subprime mortgages and securitizations from 2005-2007, more than ten years ago! And if Wells Fargo and the United States can’t afford the costs and uncertainty of a trial, no one can. The reason Wells Fargo settled is they won. The reason the government settled is they couldn’t prove their case in court. They couldn’t even get Wells Fargo to admit to a single allegation they made. But they got to put their unproven-hearsay allegations in the agreement and falsely spin them to the American public. I’m not a lawyer, but it has been over ten years. Hasn’t the statute of limitations expired? Why put this in the settlement at all? The only reason I can think is more window-dressing for the DOJ, so they can falsely portray this settlement as tough and harsh. If Wells Fargo really had deficient Alt-A and subprime mortgage origination and securitization practices, why didn’t this settlement agreement lay out remedial actions Wells Fargo needed to take and the government’s oversight of such? Finally, let’s go back to acting US Attorney Tse’s quote at the beginning of this post. Even if he had proved his allegations in Paragraph H. against Wells Fargo, and he factually did not, how can a lifelong government attorney and prosecutor, with no training in economics and finance, make such a claim? Isn’t this statement a lie and show his obvious bias? Isn’t Mr. Tse’s second statement also false? “Today’s agreement holds Wells Fargo responsible….” How so? The long-anticipated penalty, announced Wednesday, is in line with what some analysts had predicted and smaller than sanctions borne by some of the San Francisco bank’s competitors. But the case offers a new look behind the scenes at decisions made at one of the nation’s largest home lenders before the crisis — and the evidence that executives saw of mounting trouble. Starting in 2005, the bank set out to double production of two types of risky mortgages: one known as subprime, offered to borrowers with weak credit, and another called Alt-A, a product targeted at independent contractors and others who may not draw a steady paycheck. As part of the push, Wells Fargo loosened requirements for so-called stated-income loans, which allow borrowers to say how much they made without verification. The bank later sampled and tested some mortgages and found borrowers had fudged income numbers. Despite those findings, it continued to report inaccurate income figures to investors who bought mortgage-backed securities that later went bad, according to the settlement agreement. Other big banks settled similar claims with the Justice Department years ago and paid much larger penalties. In 2014, Bank of America and Citigroup agreed to pay $16.7 billion and $7.3 billion, respectively, to settle allegations they misled investors about risky mortgage-backed securities. JPMorgan Chase agreed to a similar settlement in 2013 and paid $13 billion. Those deals, like Wednesdays, dealt only with mortgage-backed securities. Big banks, including Wells Fargo, have also paid to settle allegations that they duped the federal government into improperly backing crisis-era loans through the popular FHA mortgage insurance program. Wells Fargo agreed to pay $1.2 billion in 2016; Bank of America and Chase reached smaller settlements in 2014. Wells Fargo executives had been signaling the settlement’s approach. In January, Chief Financial Officer John Shrewsberry told Bloomberg his firm would probably hash out terms this year. Although he declined to discuss the potential cost, the firm took a $3.3-billion litigation charge late in 2017, mainly for mortgage-related issues. Bloomberg Intelligence analyst Elliot Stein had estimated the settlement for mortgage-backed securities could cost more than $2 billion. 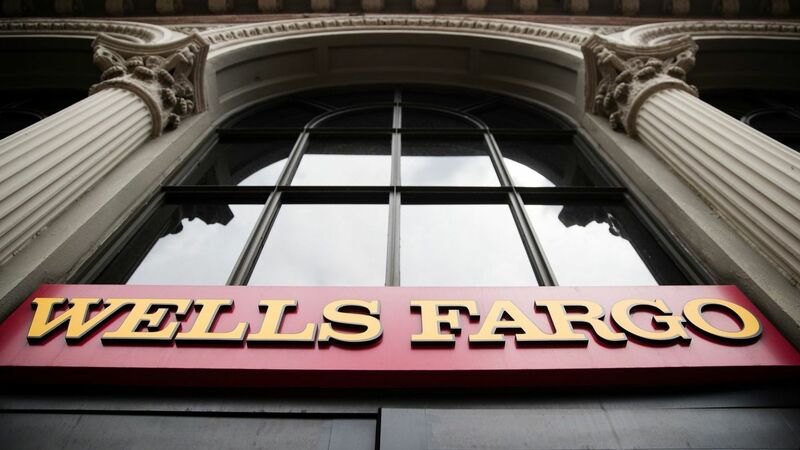 The settlement comes as Wells Fargo tries to correct a series of consumer abuses that have resulted in a raft of fines and sanctions, including a growth cap imposed on it by the Federal Reserve because of weak risk management and corporate oversight. Over the last two years, the bank has admitted that it created millions of bank accounts without customers’ authorization, charged improper fees on mortgage borrowers and forced thousands of auto-loan customers to pay for insurance policies they did not need. Those practices, and others, also have led to more than $1.1 billion in payments to the Consumer Financial Protection Bureau and other regulators, including a $185-million settlement over unauthorized accounts in 2016 that kicked off the bank’s troubles. Wells Fargo shares rose 36 cents, or 0.6%, to $57.65 on Wednesday. Posted on August 2, 2018, in Postings. Bookmark the permalink. Leave a comment.